HOW DO WE SUPPORT DEVELOPING INDIVIDUALITY IN KIDS? Knowing how to help kids develop individuality helps them to have healthy self-esteem. Every child is an individual with his own personality, interests, preferences, approaches to situations and perspectives. However, internal conflict and external demands on your child can cause him to trade his individuality for what he thinks others want him to be. Protect your child's sense of self by providing an environment and activities that develops his individuality. Create a low-stress environment to help your child feel confident in his individuality. Steve Baskins of the American Camp Association, writing for "Psychology Today" says you can do this by limiting planned activities and lessons and being open to what your child enjoys or wants to learn. He notes that while keeping to a schedule and being organized is important at times, it is also necessary to give your child room to discover his interests and talents. Allow your child to express himself without limiting interests and activities by gender. Listen to your child's comments about gender-related activities without being critical or mocking him. For example if your son wants to learn how to cook or sew, encourage him to do so and point out men who are successful in these careers or hobbies. Give your child positive living and historical role models in your family, community, country and culture, who have overcome restrictions due to gender, ethnicity religion and class. For example, teach your child about women who have succeeded as pilots, engineers or mathematicians. Encourage your child to create his own play and let him daydream and think without filling up his time with toys, electronics and screens. Introduce your child to music, stories, clothing and foods from a wide range of cultures. Take him to culture and art shows to show him the diversity of people and places. Limit how much canned pop culture he gets from the TV and Internet. Some children may feel they need to conform and hide their individuality out of fear of being mocked or bullied by other children. If your child has low-self esteem or is being bullied, talk to him and try to get to the root of the problem. 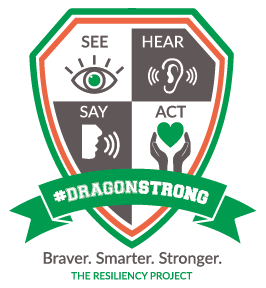 Talk to school officials about bullying, and seek professional help if necessary. Bullying can lead to depression. Bullying is unwanted, aggressive behavior among school aged children that involves a real or perceived power imbalance. Bullying includes actions such as making threats, spreading rumors, attacking someone physically or verbally, and excluding someone from a group on purpose. 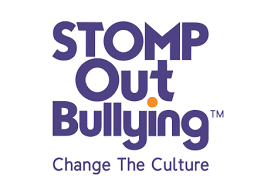 For more information go to: www.stopbullying.gov www.stompoutbullying. 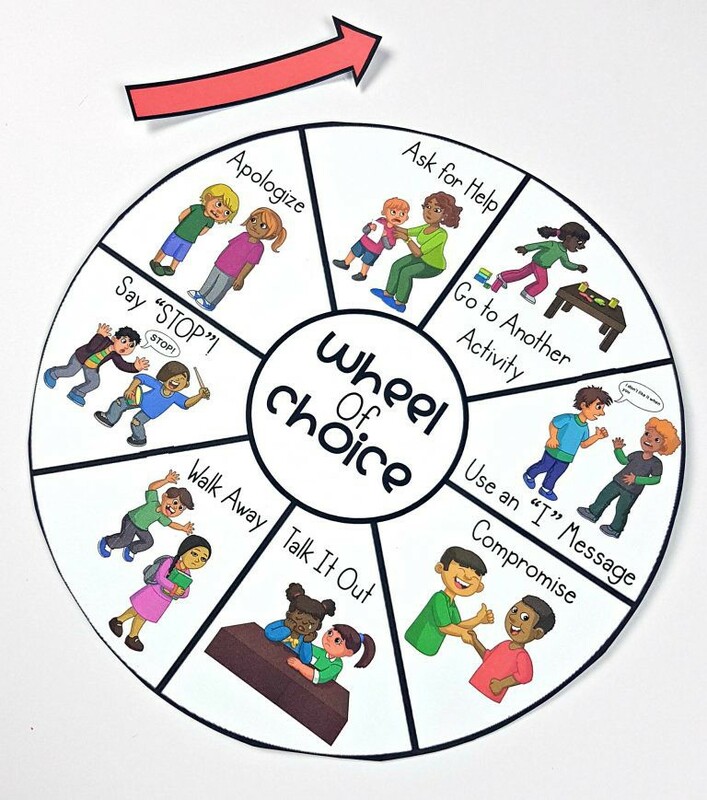 Conflict resolution is an important skill that students need to learn. It is beneficial to them within the classroom as well as in everyday life. 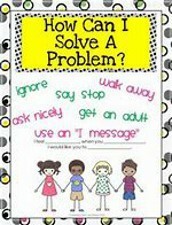 The conflict resolution skills they learn in elementary school will help them solve problems as adults. HOW DO YOU TEACH CONFLICT RESOLUTION? Teach Understanding – Students need to understand what conflict is and how it can have a negative effect on a person. This type of understanding will help them know why conflict resolution is so important. Teach Empathy – After understanding comes empathy. Once students understand conflict, they should learn to empathize with all other students involved. Teach Responsibility – Conflict involves more than one person. The students involved need to know how to take responsibility for their own part in the conflict. Whether they caused the problem or simply exasperated the situation, they need to admit that they were wrong and be willing to do their part to make amends. Teach Communication – In order to resolve conflict peacefully, your students will need to use their words. Communication is vital to conflict resolution, so teach them how to talk about the issue and come to a mutually beneficial solution. 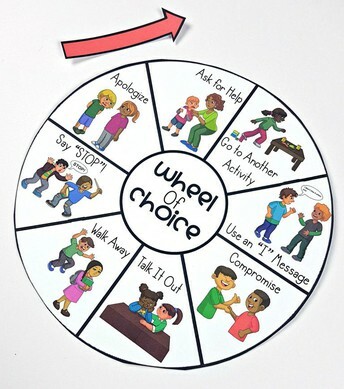 Teach Choice – Children need more than one strategy to solve a conflict independently. Our character value this month is individuality. Individuality means discovering who you are meant to be so you can make a difference. Another way of thinking about individuality is to think of uniqueness and distinctiveness. When someone is referred to as “one of a kind,” they are unique and different from most other people. If you Google individuality, you will find information about many writers, entertainers and visual artists. Some of the greatest contributions to our world are "one of a kind". Braver than yesterday. Smarter today. Stronger than challenges coming my way.